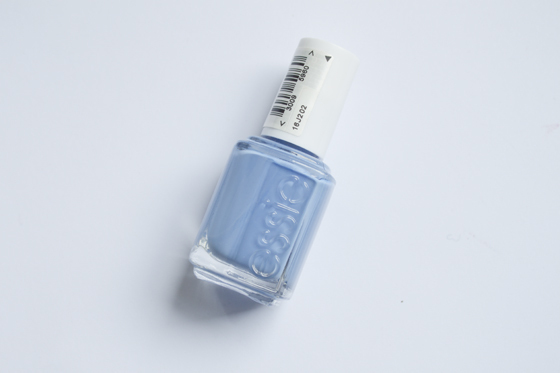 I posted a few weeks ago about the recently launched Essie Diffusion Line. At the time, I hadn't actually tried the polishes, but I've now finally got around to trying one of the four shades. Lapis of Luxury is a rich cornflower blue shade with a creme finish. The application is very smooth and glides onto the nail with ease. The wider brush makes painting your nails completely effortless because its so wide you can vary the pressure of your stroke to cover your whole nail. This makes application a complete dream as you only need one stroke rather than multiple ones to cover the nail. It takes about three coats to be opaque; However I found the formula to very quick drying so the fact it needed three coats was not too much of an issue. I cant wait to try out my other shades from Essie after trying this shade. I've currently got Essie Mint Candy Apple, and I'll review all the shades I've got in due course! Such a beautiful colour, perfect for any time too! Love it! Love this colour, mint candy apple is my fave! mint candy apple has to be my new favourite! its amazing! Your nails always look so amazing! thanks! they aren't real though unfortunately! Yay someone's changed their mind about pastels! i wouldn't say this is a pastel though, its a bright mid tone blue! Lovely colour - always love blue nails! same here! i have tons of blues but nothing like this, its gorgeous! This is such a perfect blue colour! i thought it was pretty unique as well as i don't currently own anything like this! Ah I want this! It's amazing how many different shades of blue there are...and I want them all! i didn't own anything like this so i was so pleased when i saw it, so pretty!